Easily install any downloaded store package without the need of opening the Asset Store. Check for updates and even open the Store to download an update. Share any Unity package across multiple different Unity projects (that are built with the same Unity version) without copy and pasting. Easily upgrade or downgrade installed asset store packages. It has complete integration for Windows, Mac and Linux. Shared packages are installed into the project using directory links. 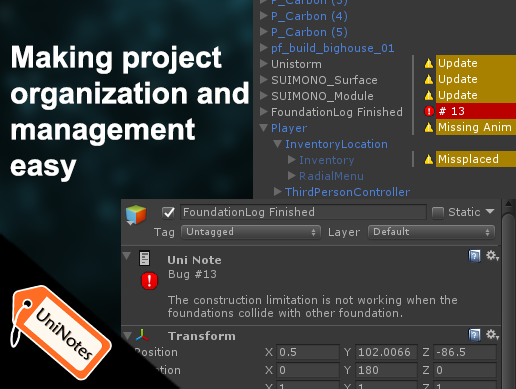 By using shared packages, you can have multiple Unity projects all using the same package folder, without needing to copy and paste each package per project. You can modify a file on a shared package and that change will be applied to all other projects that are using it. While directory link can be useful there are a couple of things to take into consideration before using them, these can be found at the unity forum thread. To read more about this go to the Unity Forum thread.